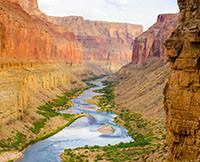 I can't say enough good about my experience rafting the Grand Canyon and I have nothing bad to say. From the moment I got off the plane at Marble Canyon to the day of the trip I was made to feel welcome. My guides were Joe (trip leader,) Corey, Parker and Scott. There was an extra crew member, Kristina, who was absolutely adorable. When you have this experience you will be hot, cold, dry, wet, tired, sandy...and you will love every minute of it. You have to remember this is not a weekend camping trip, it's an expedition. The food is excellent, not what you would expect from a trip of this nature. The Western River guides bend over backwards to make sure you have a great time and get what you paid for. They appear to love their job and it shows in the service you receive. 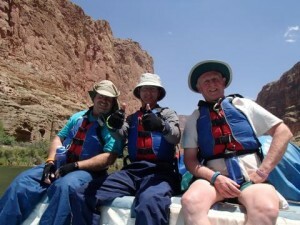 I started out on the Colorado River adventure with 30 strangers and walked away at least knowing something about all of them. Find a way to make this trip of a lifetime happen for you. It will be something you remember the rest of your life.